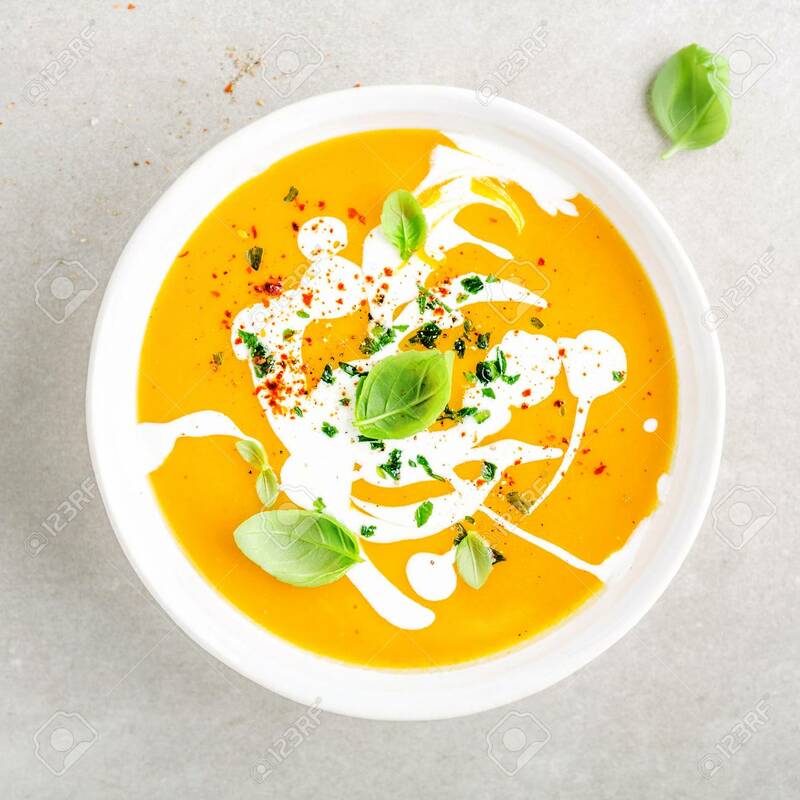 Tasty Appetizing Pumpkin Vegetable Creamy Soup Decorated With Basil, Cream And Spices Served In White Bowl On Grey Table. View From Above. Square Lizenzfreie Fotos, Bilder Und Stock Fotografie. Image 114631624.